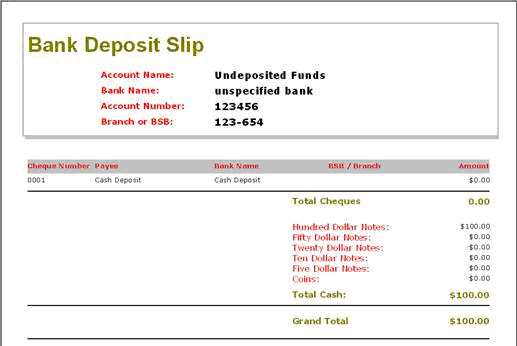 The purpose of this document is to provide a solution for an issue Bank Deposit Slips appearing with no Bank Details when depositing only cash and no Cheques. Here, there is an amount specified in the grand total that correlates to the Cash Amounts that have been entered into the Bank Deposit, however the Bank Details are blank. Add the Cheque Name / Bank Name as whatever you want to appear on your Bank Deposit Slip to identify this as a cash sale deposit. 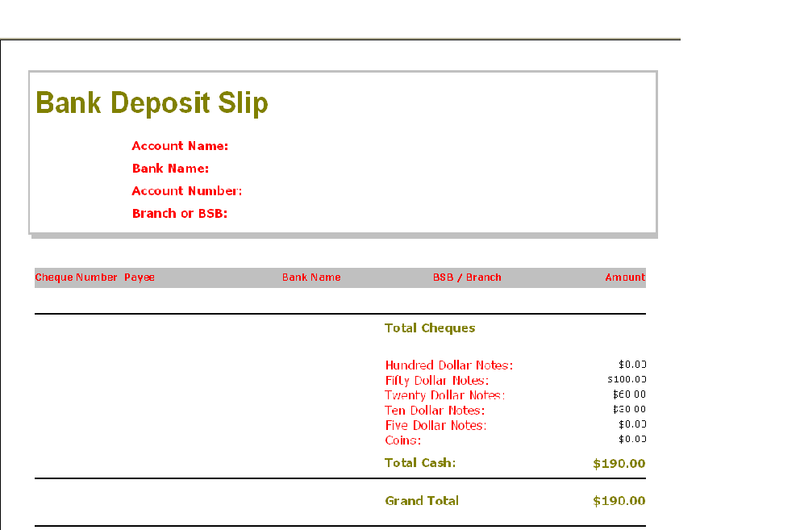 Bank Account Details are displayed.